Erica Bohanon can fill a sketchpad in a month She favors orange Rhodia pads from France with their gridded pages, though recently she's been dallying with unlined journals because of the sense of freedom they provide her.She uses pencil, ballpoint, sometimes a roller-ball—nothing too fancy. The most important thing is to keep the hand moving. In just five seconds, she can scribble the bare form of a chair, her hand quickly repeating the familiar lines. Tops, she'll spend ten minutes on a sketch. Looking at the pages of chairs, tables, stowaway beds, and lamps dashed onto the pads in these daily exercises, obsessive compulsive comes to mind. 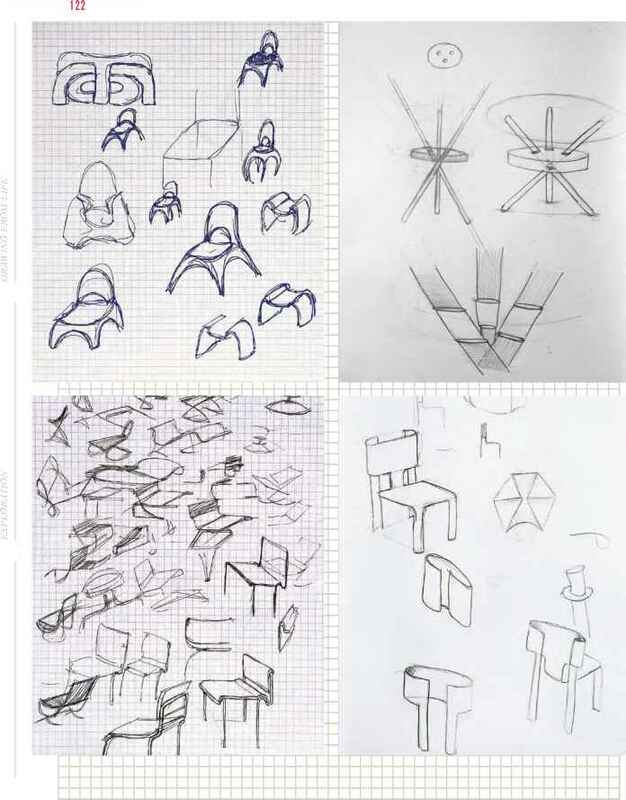 After all, on many pages Bohanon is drawing essentially the same chair again and again and again. 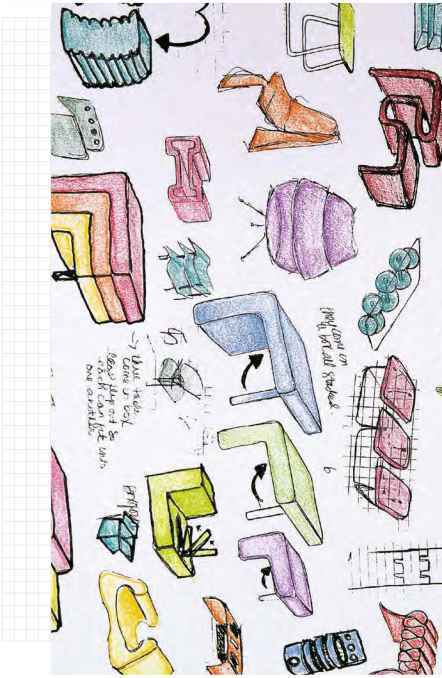 Of the quick-handed sketches, the young furniture designer enthuses, "I find it's so important to keep jotting down ideas, even if they're the worst ideas in the world. Each one leads to something bigger and better. 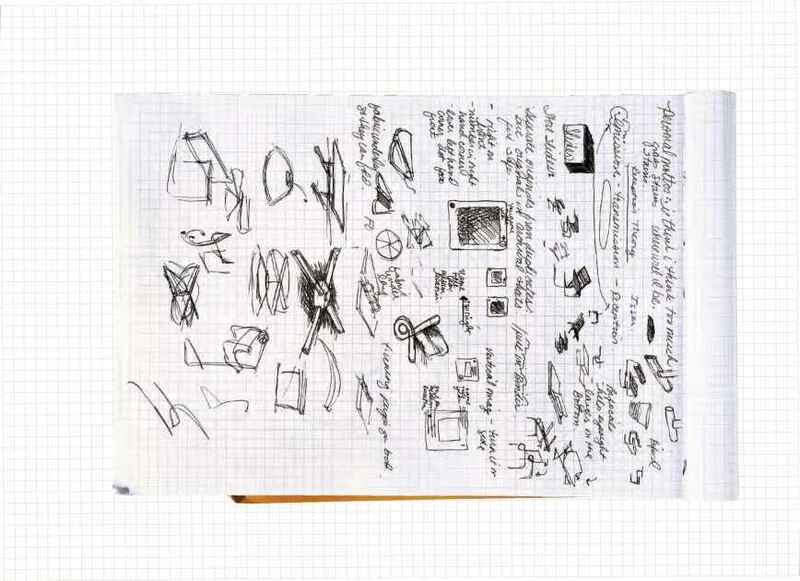 Everything derives from that little scribble jotted down on a napkin or in a sketchbook." 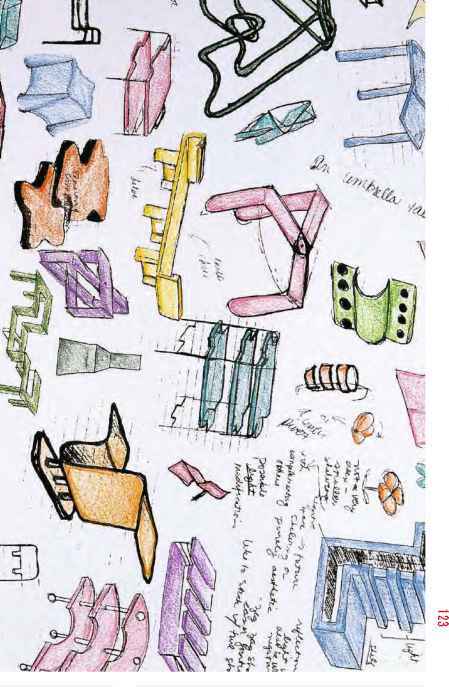 As a little girl Bohanon played with the big sheets of drafting paper one of her relatives, an architect, gave her. She spent hours drawing her dream house; her favorite part was designing and placing the furniture. The journals did not start until she began studying design in college. 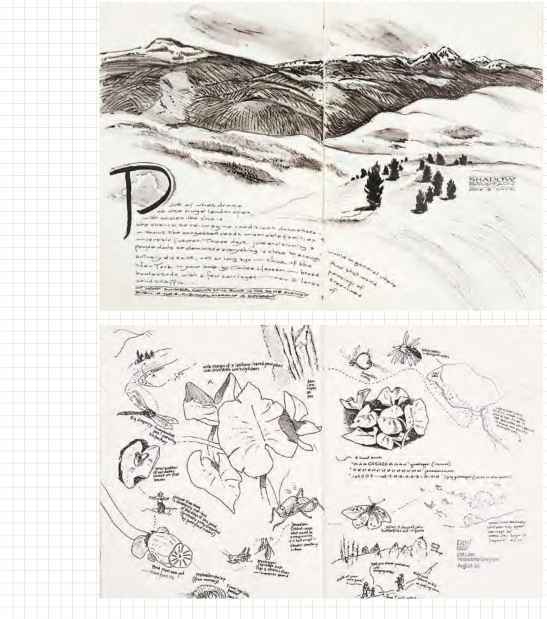 During one class, blandly titled "Presentation Techniques," she noticed that she drew a lot more than her classmates and decided to compile her sketches for an assignment. The result was several large screen prints covered in sketches. Hand-colored, the furniture sings, bops, and chirps around the page. The sheer volume provides a sense of movement and delightful mayhem not imparted on the daily journal pages. Bohanon liked the screen prints so much she's incorporated them into her journal-keeping process, making a new one about every six months. "They're part of the generative process," she explains. They help me see where I'm coming from, and then they lead to more sketches."